In the nested approach to structural optimization, most of the computational effort is invested in the solution of the analysis equations. In this study, it is suggested to reduce this computational cost by using an approximation to the solution of the analysis problem, generated by a Krylov subspace iterative solver. By choosing convergence criteria for the iterative solver that are strongly related to the optimization objective and to the design sensitivities, it is possible to terminate the iterative solution of the nested equations earlier compared to traditional convergence measures. The approximation is computationally shown to be sufficiently accurate for the purpose of optimization though the nested equation system is not necessarily solved accurately. The approach is tested on several large-scale topology optimization problems, including minimum compliance problems and compliant mechanism design problems. The optimized designs are practically identical while the time spent on the analysis is reduced significantly. 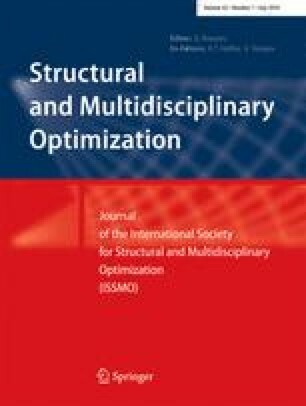 This is an extended version of a paper presented at WCSMO-8, held in Lisbon, Portugal, June 2009.